30th August, KJN, Tinsukia: A five-day Annual Retreat for Priests in Miao Diocese was organized by Bishop George in Kristu Jyothi Niwas, Tinsukia from 26 to 30 August. Rev. Fr. 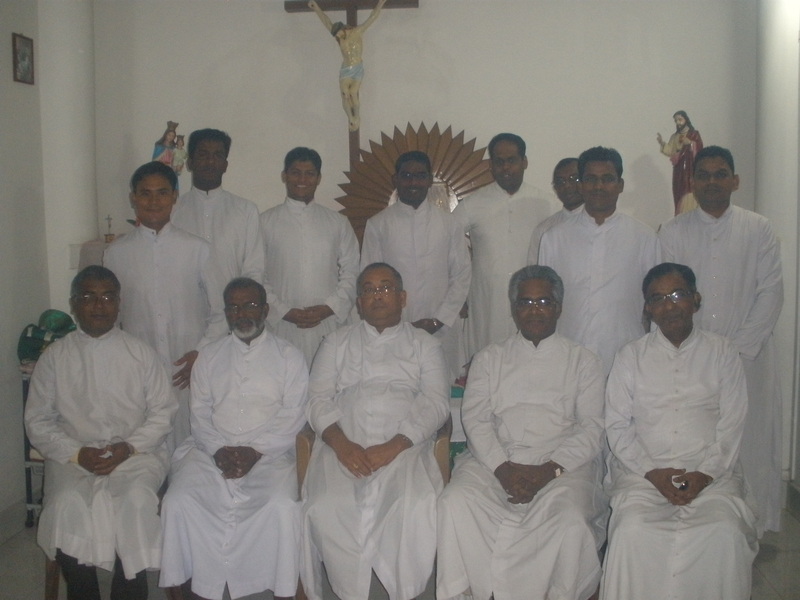 Iridhayaraj from Patna Archdiocese was the Retreat Preacher. He guided the Priests to make a good and meaningful Retreat. He stressed the importance of the Word of God in the life of a Priest and that a Priest should be passionate about reading the Word of God everyday. A priest should equip himself with the Word of God to minister to the manifold need of the people under his care. He explained to the Priests about the importance of realizing the presence of God everyday and everywhere. But we are not able to see His presence when we have wrong priority in life, when we lack genuine prayer and personal experience with God, when our heart is not clean, when we are attached to things than to God, when there is so much evil spirit is around us, when we are lazy and when we lack good confession. There were elven Priests from all over the Diocese, attending the Retreat. Frs. Bala Reddy from Tezu, Deepak from Diyun, Biju and Tony from Neotan, Lijo from Changlang, John Doley and Thomas from Namsai, Jose Oonukallel from Kanubari, Felix from Miao, Pradeep sdb from Borduria and Paulus from Minthong attended the Retreat. All the Priests were grateful to Bishop George for organizing this beautiful Retreat and also thanked Fr. Raj for the spiritual renewal that he effected in their life.